Tabouleh, fattoush, falafel, hummus and pita bread, are perhaps the first names that come to my mind when I think of Lebanese cuisine. But of course there is much more to this subtle, but flavourful cuisine. Lebanese food is one of the freshest and most delicious. Lebanese food is, without a doubt, the most popular of all Middle Eastern cuisines and history has played a significant role in this. Lebanon was under foreign powers for years on end and these have influenced the food to a large extent. The Turks controlled Lebanon and introduced a variety of foods that have since then become staples in the Lebanese diet, including olive oil, fresh bread, baklava (a sweet pastry dessert), laban (homemade yogurt), stuffed vegetables, and a variety of nuts. Again, it was the Ottomans who introduced and popularised lamb in this cuisine. Chef Maher from Sofitel Dubai was in Mumbai visiting Sofitel Mumbai BKC for a Lebanese Food Festival at Pondichery Cafe and being a huge fan of this cuisine, the invitation was hard to decline. 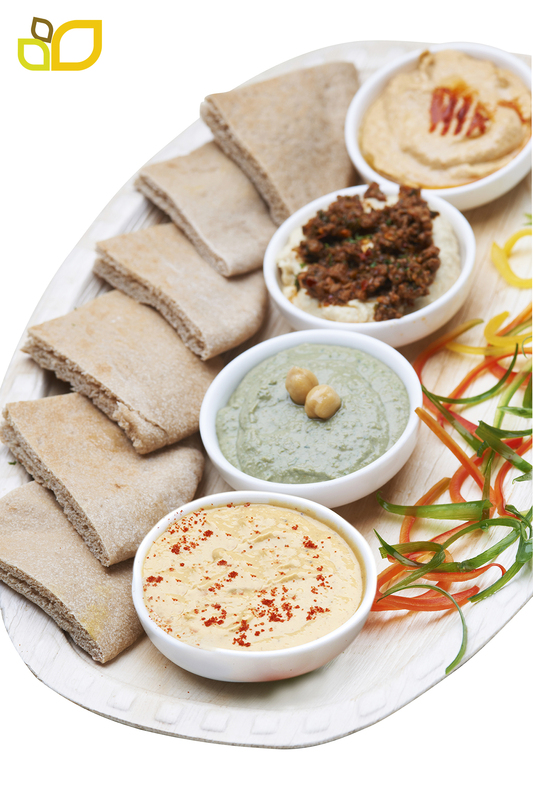 Originally from Syria but now settled in Dubai, Chef Maher has a strong hold over Lebanese cuisine. Add to that several years of experience as a chef. He is truly a master at his craft. 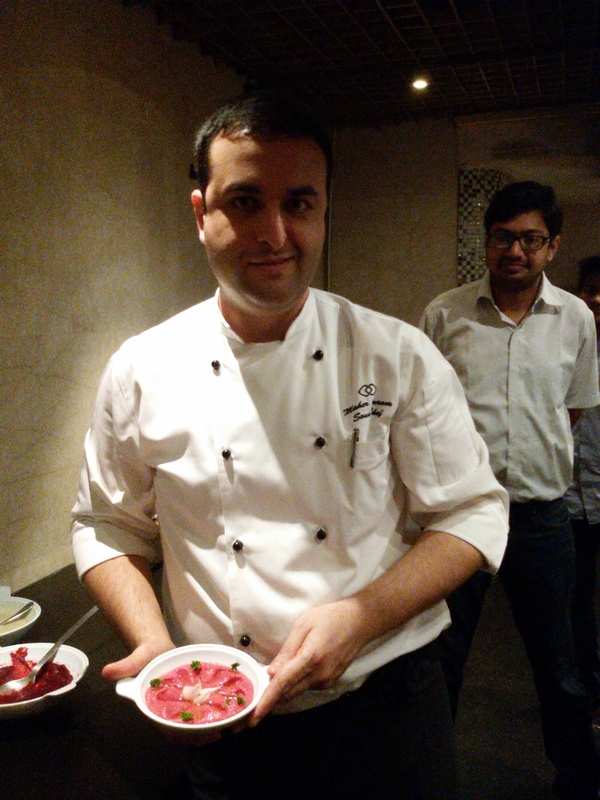 He demonstrated a beetroot Moutabel which seemed so easy to prepare and was even better to taste. Typically a spicy eggplant, garlic and basil dip, but Chef Maher gave it his own twist. This one in fact was lip-smacking and unique. The colour too was extremely appetizing. 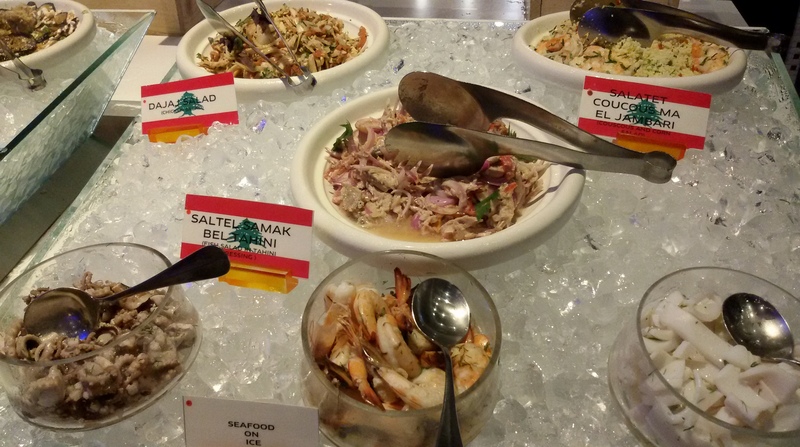 The Lebanese dishes were a part of the otherwise exhaustive buffet. One could not resists the Mezze. So I relished the hummus, tabouleh, moutabel and pita. Potato volute flavour puree red with cabbage and brown lentil was the soup I tried. It was a tad too bland for me. From the hot mezzah, I sampled the sambosik, but was disappointed with it as it was too cold and chewy. Perhaps being on the buffet for long had resulted in it being so. So that was a bit of a kill joy too. The variety was tremendous and surprisingly, there was a lot of vegetarian fare too. The Cold mezzah had Kosa mahshi -Baby marrow stuffed with rice, onion, tomato aqnd parsley, Feter ma al jazar -Mushroom and carrot in lemon olive oil, Bamieh bel ziat -Braised okra in tomato coriander sauce. The highlight in the main course for me was the Laban Umo- braised lamb in yogurt sauce topped with ghee and pine nuts. 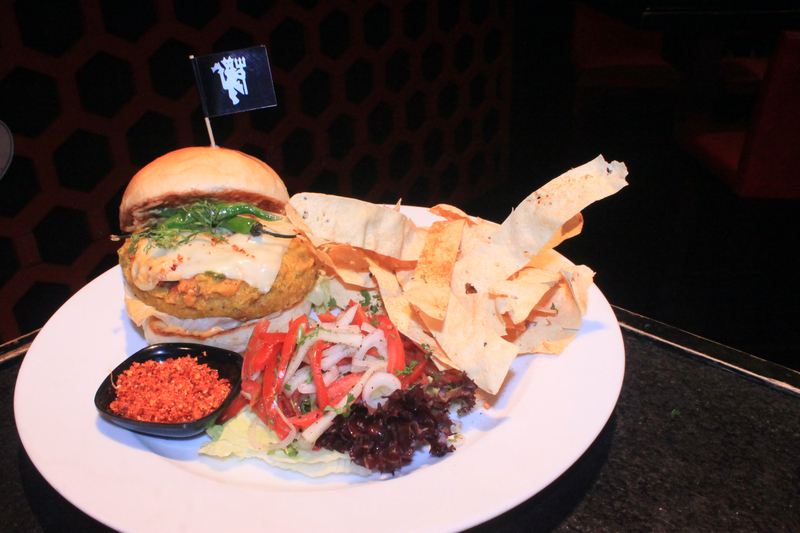 It was mouth-watering, prepared to perfection and comforting. Soul food, i would call that. The Batata bel synia- oven cooked potato with tomatoes, onions and olive oil, did not impress me too much. The Jambari mujbous was delectable. An absolute treat for the palate. 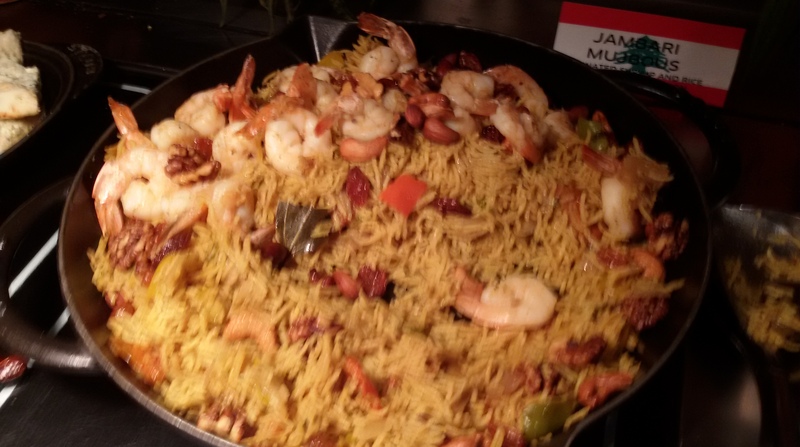 Marinated shrimps and rice with herbs, dry lemon and cardamom made for a perfect combination. The aroma of this fragrant dish filled my nostrils. The Sabanekh ma hommus wel banadora -Spinach and chick peas cooked in tomato sauce too was light and flavorsome. A lot of chick peas in this cuisine, but I welcome that. There was shwarma too, personally being tended to by Chef Maher, but I decided to skip that. I could not wait to try the desserts. 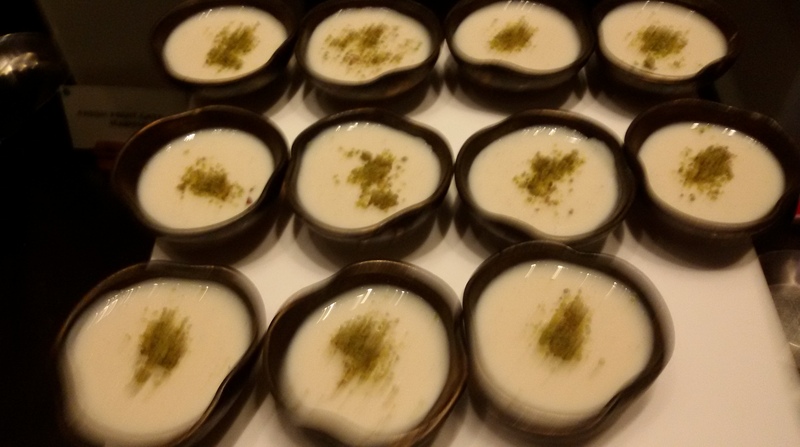 Namoura Semolina – Cake soaked in syrup, decorated with almonds, Qatayef – Walnuts stuffed in pan fried dough, Umali and Mouhlablia were on offer. Given my sweet tooth, I found some of the desserts less sweet specially the Mouhlablia and thus my vote went to the Umali. Closer to our home made bread pudding, it was rich, creamy and full of nuts. 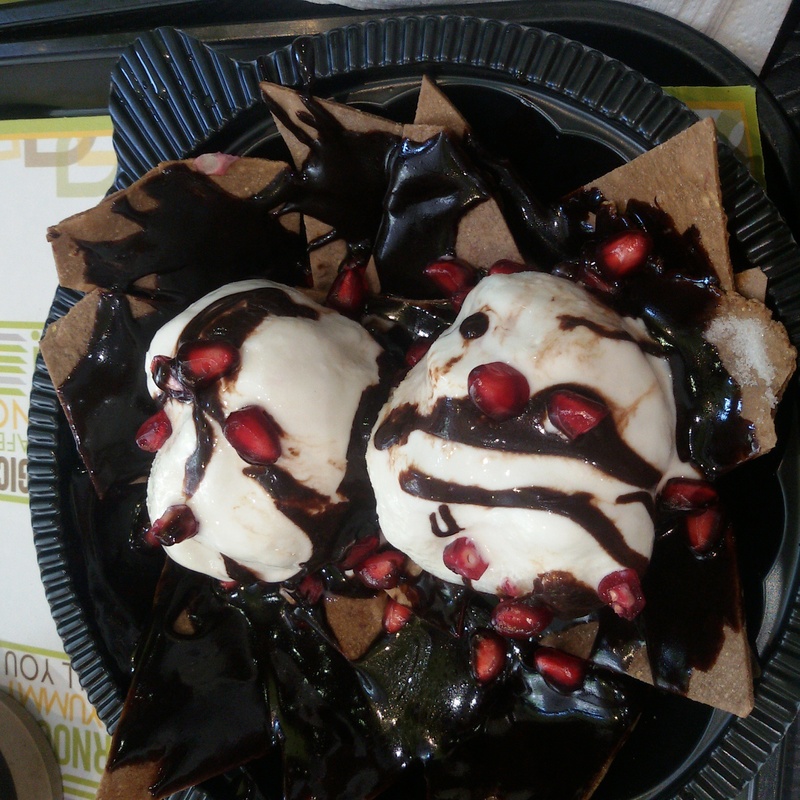 The texture was appealing as was the sweet quotient. The semolina cake too was extremely well made and the unique texture and mild flavours, appealed to my taste buds. Overall, it was an enjoyable meal, with authentic Lebanese dishes prepared adroitly by Chef Maher. The hospitality at Sofitel Mumbai BKC is always unquestionable. I left Pondichery cafe, smiling as always.